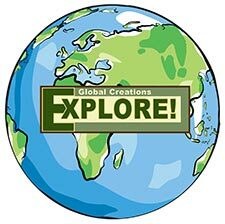 Outdoor News July 27, 2018 - Explore! 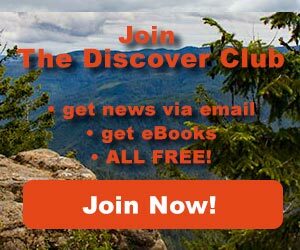 Outdoor News July 27, 2018 - Explore! On Wednesday, U.S. Representative Will Hurd (TX) joined Natural Resources Chairman Rob Bishop (UT), Energy and Water Development Subcommittee Chairman Mike Simpson (ID) and Ranking Member Raul Grijalva (AZ) to introduce the Restore Our Parks & Public Lands Act to jump start overdue maintenance projects in our national parks by directing 50% of unallocated federal mineral revenues to a newly established restoration fund. This bipartisan consensus proposal would provide investments that would go toward reducing the nearly $12 billion backlog the National Park Service (NPS) faces to repair roads, visitor facilities, trails, and other park structures. Similar legislation was previously introduced by Senators Rob Portman (OH), Mark Warner (VA), Lamar Alexander (TN) and Angus King (ME) in the Senate. “From San Antonio Missions National Historical Park to Big Bend National Park, our National Park Service protects some of our most historically, culturally and naturally significant places. Yet, due to years of inconsistent funding, our parks face nearly $12 billion in needed repairs from failing water systems to deteriorated trails and crumbling visitor centers. NPCA commends national park champions like Congressman Hurd, for supporting dedicated funding for our parks. With the Restore our Parks and Public Lands Act, Congress is one step closer to ensuring that our parks can continue to provide safe conditions for visitors, while also protecting the resources that help tell our nation’s history.” said Theresa Pierno, President and CEO for National Parks Conservation Association. 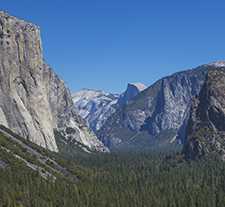 Theresa Pierno, President and CEO for National Parks Conservation Association said, “This bipartisan compromise bill is a major step towards addressing our parks’ maintenance needs, ensuring our most historically, culturally and naturally significant places are preserved for years to come. By restoring park roads, buildings and trails at national parks, we also enhance visitor access and experiences, and provide tremendous economic benefits for gateway communities nationwide." This bill represents the merging of several approaches to address this important issue. Last year, Rep. Hurd introduced similar bipartisan legislation, the National Park Service Legacy Act, which was critical in bringing together stakeholders from both parties and chambers to ultimately find a solution that can be passed by Congress and signed into law. Beginning noon Wednesday, Yosemite Valley, Wawona, and the Mariposa Grove in Yosemite National Park were closed to all visitors due to the ongoing impacts of the Ferguson Fire. These closures include all hotels, campgrounds, and visitor services in Yosemite Valley and Wawona. The temporary closure is expected to last until Sunday, July 29, 2018. The Big Oak Flat Road west of Crane Flat, Tioga Road, and the Tuolumne Meadows area remain open at this time. The park will continue to work with the Incident Management Team and assess conditions day by day. As of yesterday evening, the fire had burned 44,223 acres and was 27% contained. July 25, 2018, NASHVILLE, Tenn. – Many veterans fought to protect their country on foreign soil, and now it's their homeland they want to protect. According to the Vet Voice Foundation, the Land and Water Conservation Fund helps keep the outdoors open to everyone and especially is important for veterans who use the land as a place to recover after their service. However, it will expire at the end of September if Congress doesn't vote to reauthorize it. Paul Eaton, a retired Army major general and managing director of Vet Voice, said the LWCF has protected parts of the Reelfoot National Wildlife Refuge, Chickamauga National Military Park and more. He said these are places where all Americans can recuperate. "A way that is at once inexpensive and very efficient to deal with a stressor, to work your way through a personal problem, is through introspection and in an environment where you see just how beautiful life can be," he said. The program receives funding from energy-company royalties paid for oil and gas drilling. Funds also are used to build playgrounds, trails, parks, swimming pools, urban bike paths, soccer fields and more. More than 41,000 projects have been supported by the fund since its creation in 1965, including at least $81 million for Tennessee. Eaton said he learned how to swim in a pool funded by the LWCF. He praised the program for facilitating outdoor activities for kids and said Congress has a chance to continue to help young people if the program is reauthorized. "They have in their hands the opportunity to instate, in permanence and full funding, an instrument that has helped more young Americans become better citizens than any other instrument that I can think of for a high return on investment," he said. Funds also have helped preserve historic military sites, battlefields and monuments. 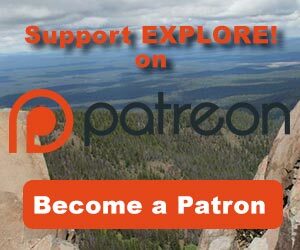 The outdoor industry and everyone who loves the outdoors now have a convenient new tool with which to measure every member of Congress based on their voting records, favorable or unfavorable legislation they sponsor and their overall support or opposition of outdoor industry policy priorities. That new tool was unveiled on Monday – the Outdoor Industry Association's (OIA) first-ever "OIA Congressional Scorecard – The Official Scorecard of the Outdoor Recreation Industry." OIA released its scorecard as it announced a broader Vote the Outdoors campaign during Outdoor Retailer Summer Market in Denver. The campaign is aimed at educating elected officials, candidates and voters about the benefits of the outdoor recreation economy and important issues in their communities through social and earned media. OIA's Vote the Outdoors program includes an interactive tool on the OIA website for visitors to use to look up their elected representatives' grades on the OIA Congressional Scorecard. The platform also arms visitors with social media and other tools to help them become more informed voters and laud or challenge their representatives for their votes and support for the outdoor Industry. 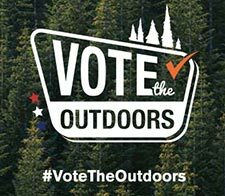 "The outdoor industry and anyone concerned about public lands is gearing up and preparing to vote the outdoors in the 2018 election. Voters want to know and need a resource where they can find how their representatives voted on issues like the Land and Water Conservation Fund, climate change and the protection of our public land," said Alex Boian, OIA's political director. "The OIA Congressional Scorecard and our Vote the Outdoors program are designed to engage anyone who loves the outdoors, to make information about elected officials' voting records, public lands and climate change positions easily accessible and arm voters with resources on how they can positively impact their state and local elections." "The outdoor industry and the $887 billion outdoor recreation economy are growing across the country, so more members of the voting public want to know their congressional member's stance on outdoor issues," said Amy Roberts, executive director of OIA. "Americans have witnessed a rollback of protections for public lands, where the vast majority of outdoor recreation takes place. 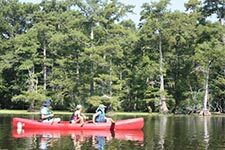 This has resulted in a jump in the number of Americans identifying themselves as conservationists and expressing a desire to become better educated on the positive role recreation plays in their local economies and the well-being of families and communities." 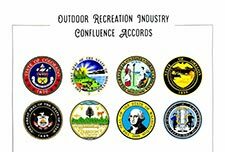 On Wednesday, representatives from Colorado, Montana, North Carolina, Oregon, Utah, Vermont, Washington and Wyoming signed the Confluence Accords, which outline shared political principles for the outdoor recreation industry. "The Confluence Accords are a roadmap for the outdoor recreation industry that recognize it's about so much more than getting people outside," said Governor John Hickenlooper or Colorado. "This collaborative work will serve as a national model and strengthen the collective voice of this industry." "This bipartisan effort is about harnessing the incredible power of the outdoor recreation community and creating a set of shared principles that each signing member can stand by," said Luis Benitez, director of Colorado's Outdoor Recreation Industry Office. "The economic impact of the industry is undeniable, but with these principles we now have a framework for the industry's political strength." Kansas, Michigan, Maryland and Arkansas are all observer states who are working to join the Accords at the next Confluence Summit in January. $10 Off any My Trail Co Ultralight, Super Durable Backpack. Use Code PACK10 at checkout. This week's video explores Big Bend National Park. You'll discover the history, geology and wildlife of this unique national park. Narrated by Peter Coyote.